It is highly unlikely that this is more than wishful thinking, but fans of his portrayal of the High King should be happy to see his apparent enthusiasm for returning to Narnia. William will celebrate his 30th birthday next month. According to C.S. Lewis’ timeline, Peter is 27 in The Horse and His Boy and 22 in The Last Battle. What do you think? Would you like to see all four Pevensie actors return? Which Narnia film should be made “last”? Thanks to The Rose-Tree Dryad for the alert. Everything should be able with make-up and digital work. And some faces are ok with playing younger role even if they are ten years older. They (the Pevensies) can still appear. Please make it true!! I need more Narnia films in my life! After "The Silver Chair" they should do "The Last Battle". The last film should be "The Magician’s Nephew"
Yay! hope this will really come true, it’s been one of my dreams to see them again together in a movie especially Narnia. Especially the last battle along with Ben Barnes. OH YES!! I want this so much – Will and Georgie and Skandar and Anna can totally play their characters older now because they are not kids anymore!! I want to see that happen so much!! It probably won’t happen. But if it did I think I’d be happy about it. Though it would a bit strange for them to return for Last Battle and Horse and His Boy. Why would it be strange? I think it would be strange if it wasn’t them returning! Sorry what I meant was, it would a bit strange for them to return for Last Battle and NOT Horse and His Boy. I really want to see The Magician’s Nephew, it’s my favorite and has such beautiful potential. However, I understand that actors get older and they need to get those ones done first. So here’s hoping they get on with it! But also that they stay truer to the books than they did for Prince Caspian. They really added a lot of pointless hollywood drivel to that movie and it ruined it for me. As a Narnia purist, I dislike adding pointless Hollywood drivel into the adaptation. However, as a filmmaker, I have to say that society loves Hollywood drivel and we want the Narnia books to survive in this century. So best to make the right changes! Caspian + Susan relationship was completely unnecessary and Dawn Treader was just…I can’t even talk about it.. But as for the remaining books, there has to be some logical changes for a multi-million dollar film adaptation. It is just good direction and good editing to this kind of high fantasy story. Look at Peter Jackson and what he had done with the LOTR story – a bit of the story came here, another came on here and it work very well. I know some people want Magician’s Nephew next but honestly, but if Horse and His Boy doesn’t get made after SC then it’s possible it will 1/ never be made in our time or 2/ people will lose interest when it is made because it’s so far away from the Lion the Witch and the Wardrobe, it won’t make sense. MN is probably guaranteed to be a hit so they should leave that to the end, before LB. Following the publication order is a great idea! If Silver Chair is released 2018, hopefully they’ll get to work asap on HHB so it can out soon and we won’t have to wait and we can keep Narnia alive! Imagine having a Narnia film every two years! Putting my anger largely towards Disney and Walden Media aside. I think it would be wise to allow the original cast to come back rather than recast their roles especially if they get there agents to beg for their old roles back they already know the ropes of doing the parts so I don’t see why not letting them come back for cameos or at least make a flashback or flash forward appearance, just for the movies in which their roles are included. As far as what movie they should do after Silver Chair? Well I think Horse and His Boy really should be next, besides I don’t want them to go down the same road as BBC did. Then if they finish the Pevensies story off with Last Battle then finish with The Magician’s Nephew then it will be all worth it. Besides I loved the Original Cast, and I would like to see The Last Battle finish with them so will just wait and see. In the mean time I am praying Pre-Production begins soon, they need to hurry up, 2017 is going to be over before we know it. End Rant. The Horse and His Boy has to be next! It’s already so far away from the Golden Age of Narnia. But I think the Last Battle should be the last….not only because of the title and publication date, because of well.. the story.. it makes sense. I want this to happen so badly. i want them all to come back. The only sad thing would be that Susan wouldn’t be there unless they change it. And my opinion is that they stick to the book and not change it so she can come back. C.S. Lewis made the ending that way for a purpose. Therefore, if The Last Battle is made, the ending should not be changed. It would be tear worthy if they brought all of them back for the finally of the series. I would cry and cry and cry for joy. I would cry for joy too, but if they will ruin the intentional atmosphere and inspirational message as in the books i will cry and cry and cry for grief. It’s the publication order that makes sense. Will be so glad to see their acting together..really miss chronicles of Narnia. 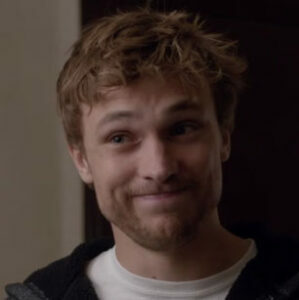 Each and every has changed especially Peter pevensie(William Moseley).His acting is same as usual as it was before..I want him to bre the biggest star in Hollywood..only watched chronicles of Narnia the lion. The witch and the wardrobe..